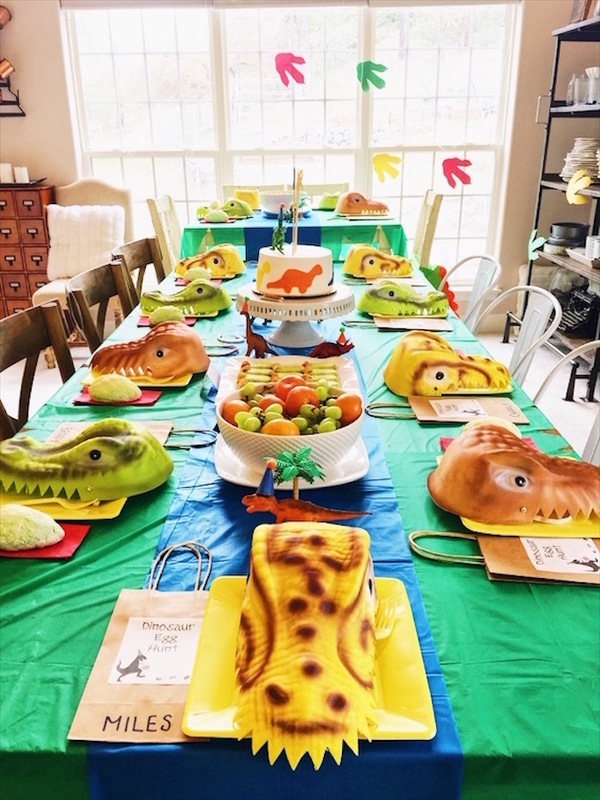 Get ready to stomp and clomp because I’ve got a Prehistoric Birthday Party, that’s quite a romp! 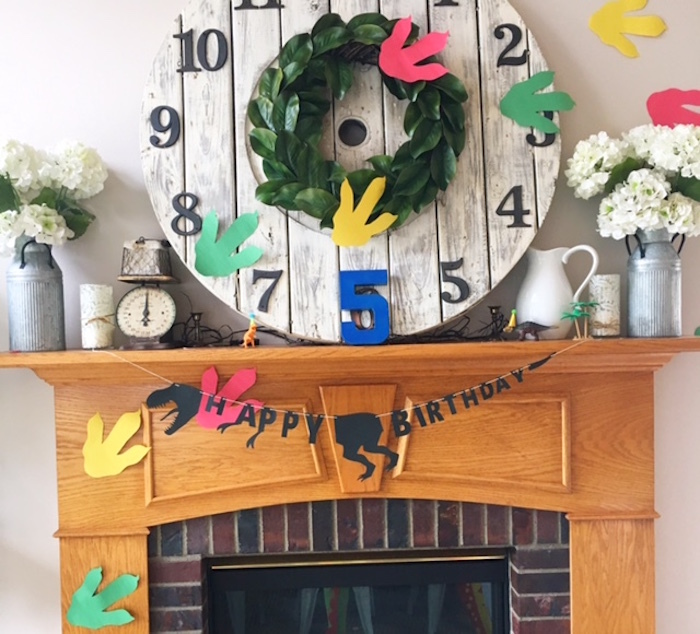 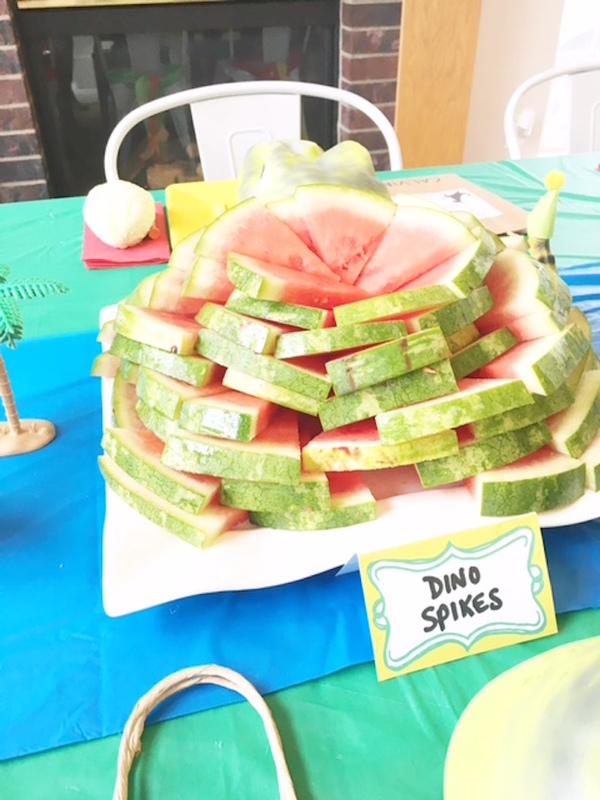 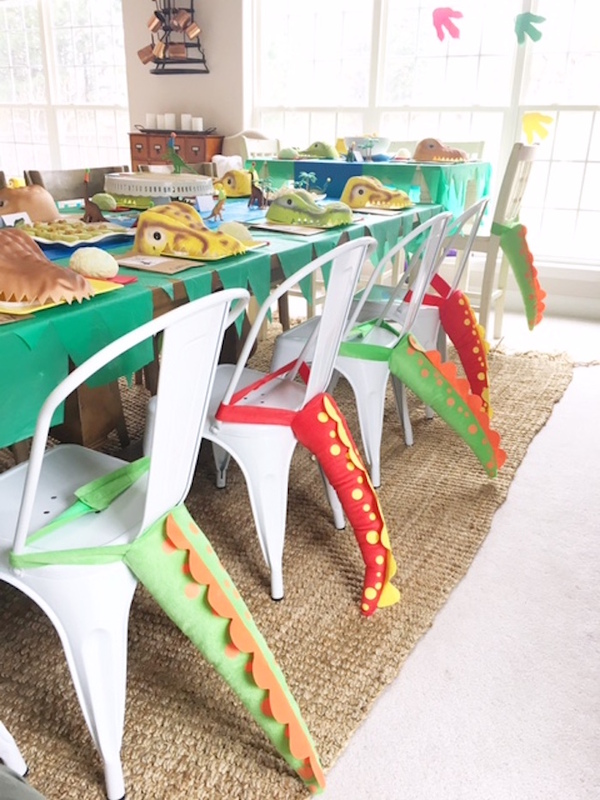 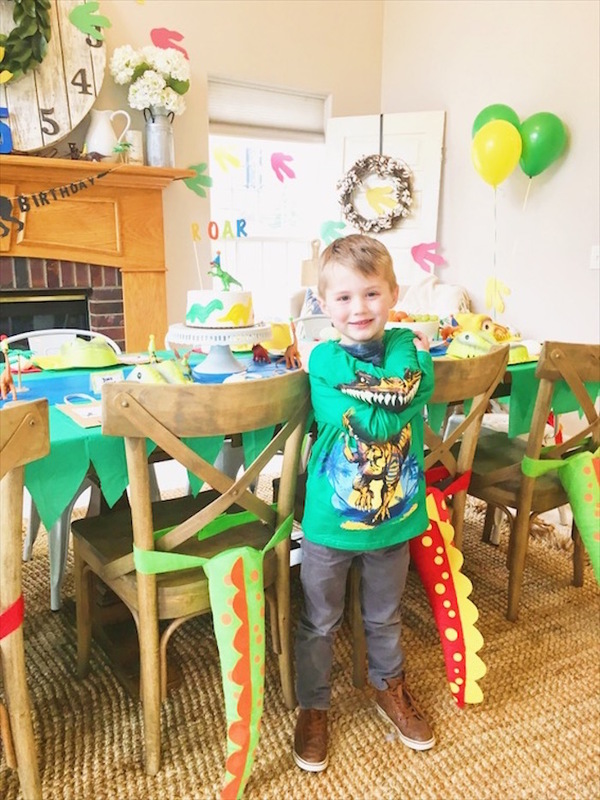 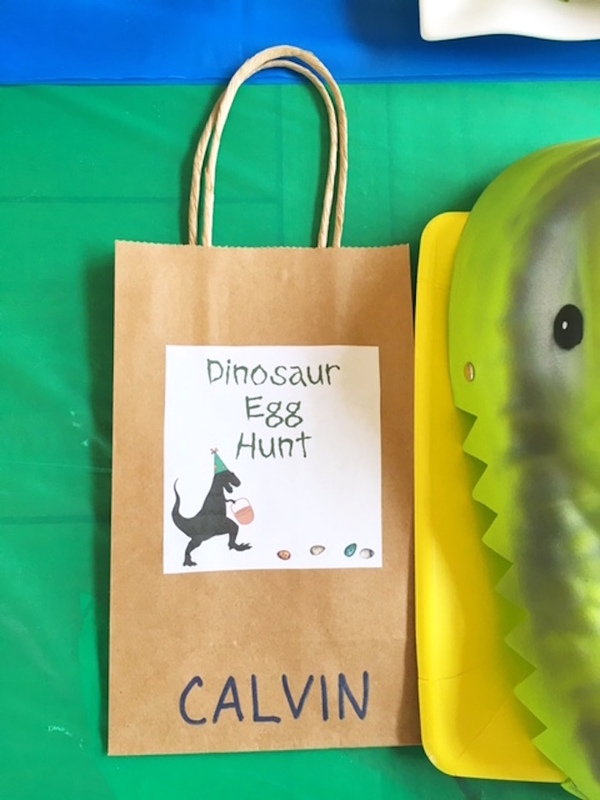 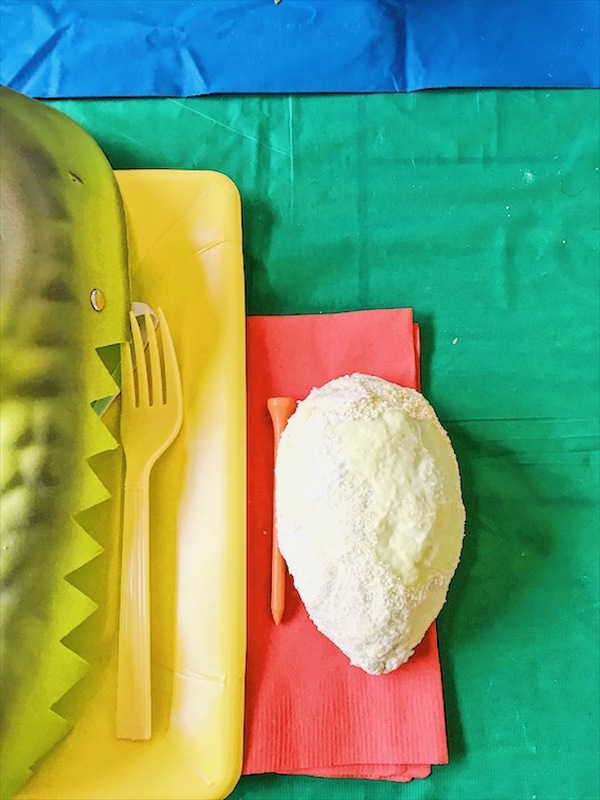 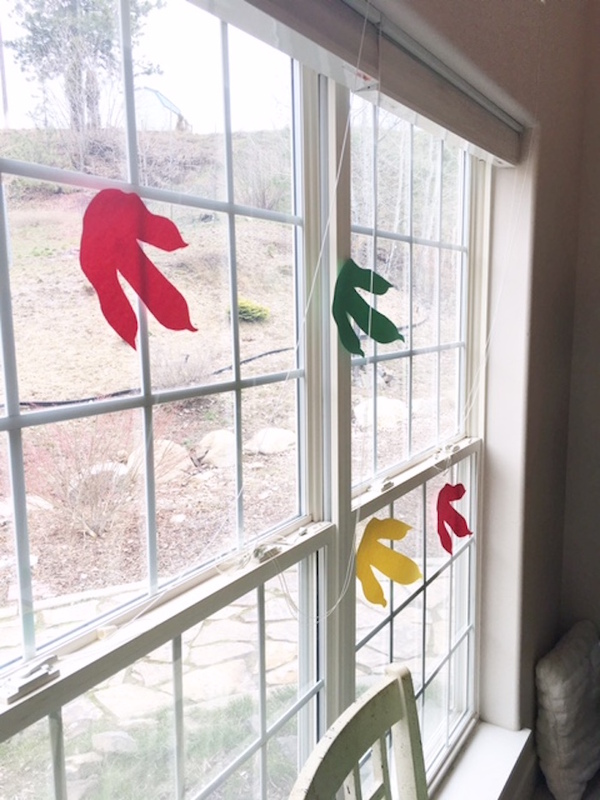 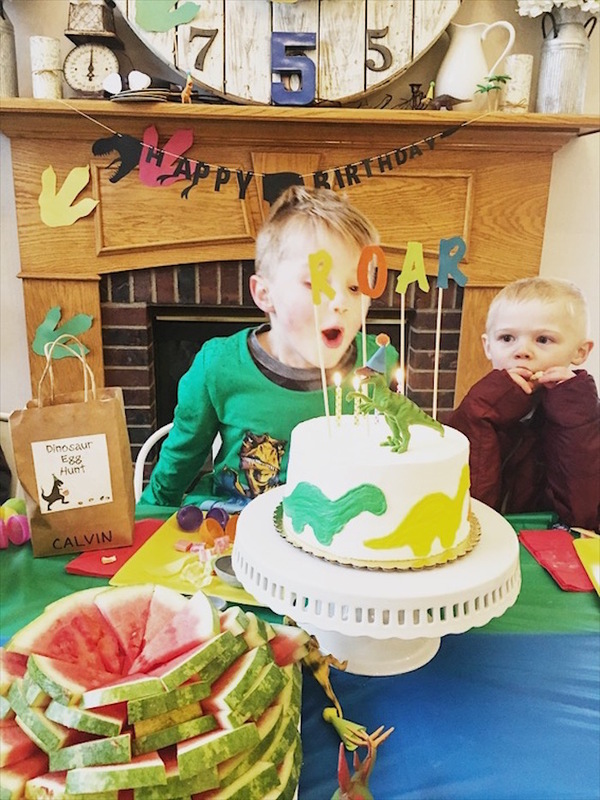 Submitted and styled by Shannon Morscheck of Lady’s Little Loves, out of Spokane, Washington; this DIY Dinosaur Birthday Bash is full of fun ideas + activities perfect for any Dino-adoring fan! 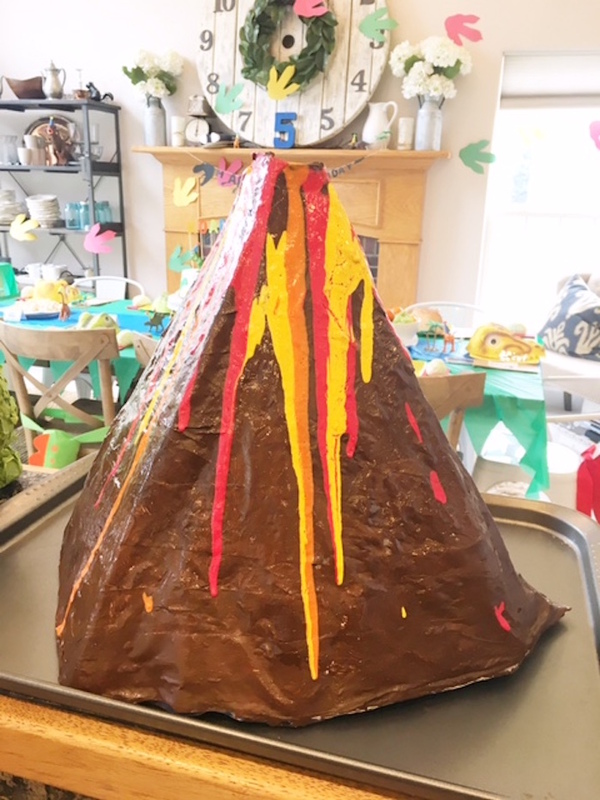 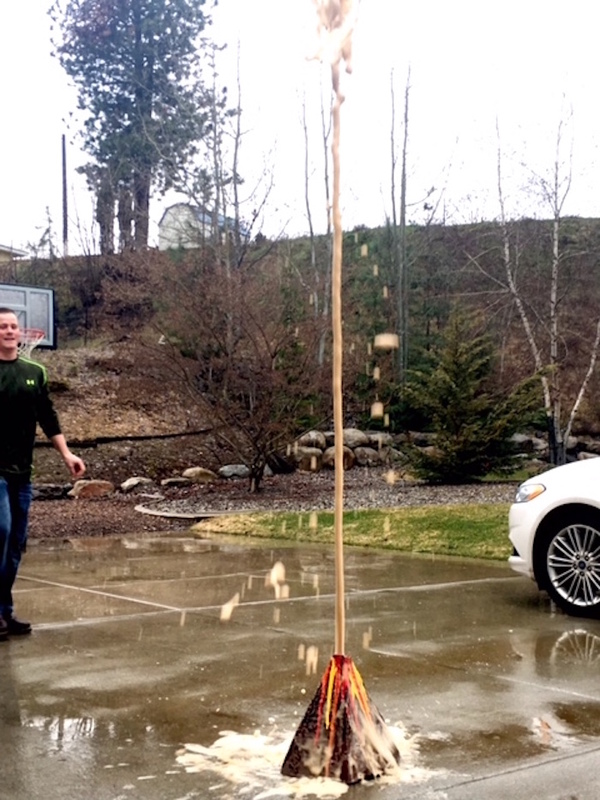 And a “real” erupting volcano! 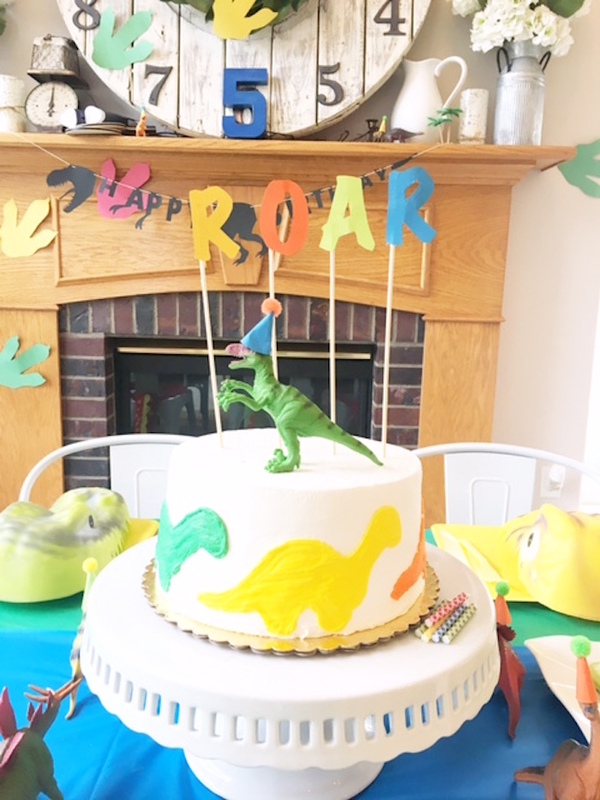 This is what Shannon shared about the party- “The main goal for this party was for everyone to have fun, and I think that goal was achieved! 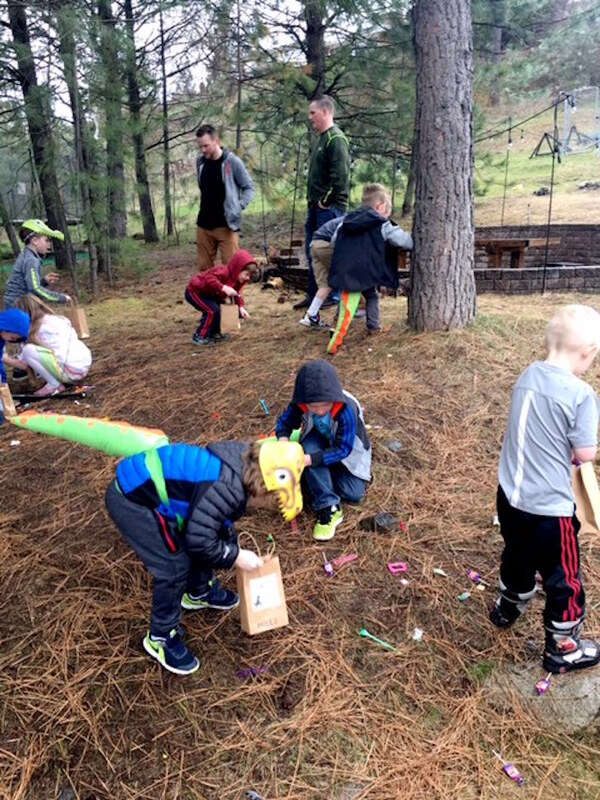 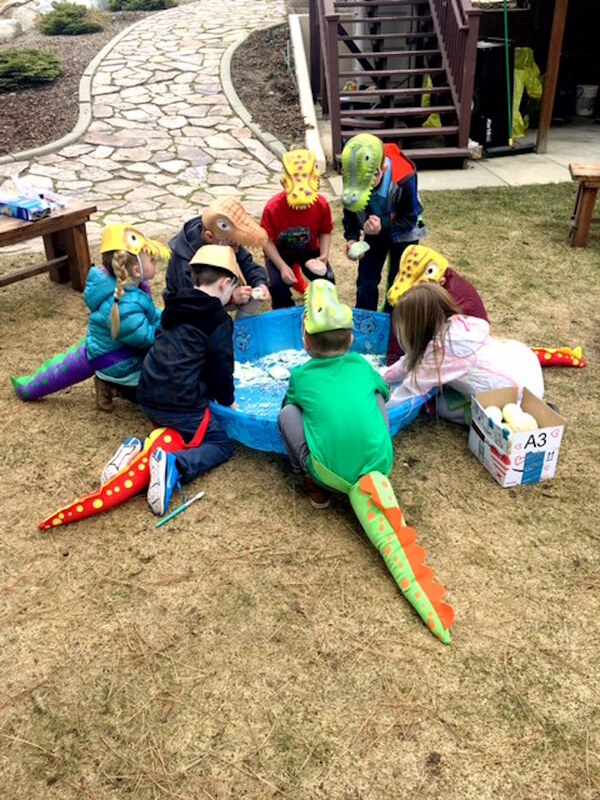 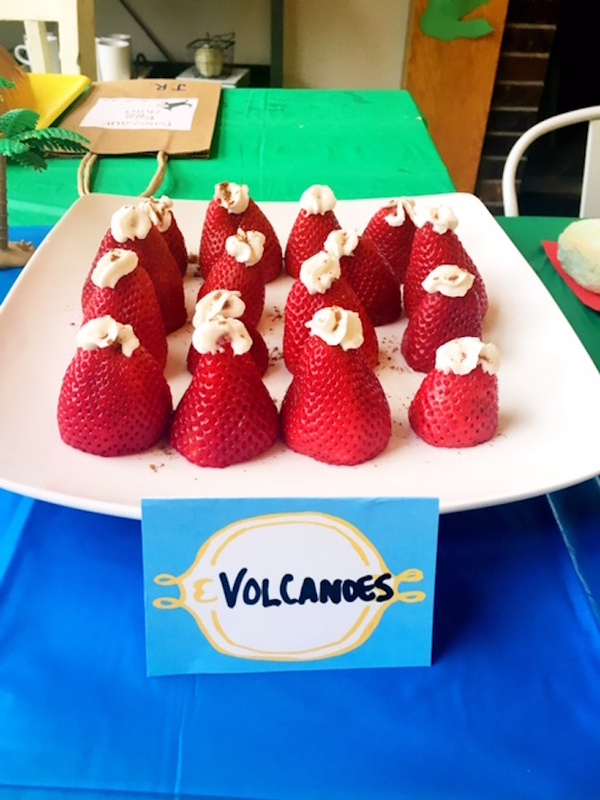 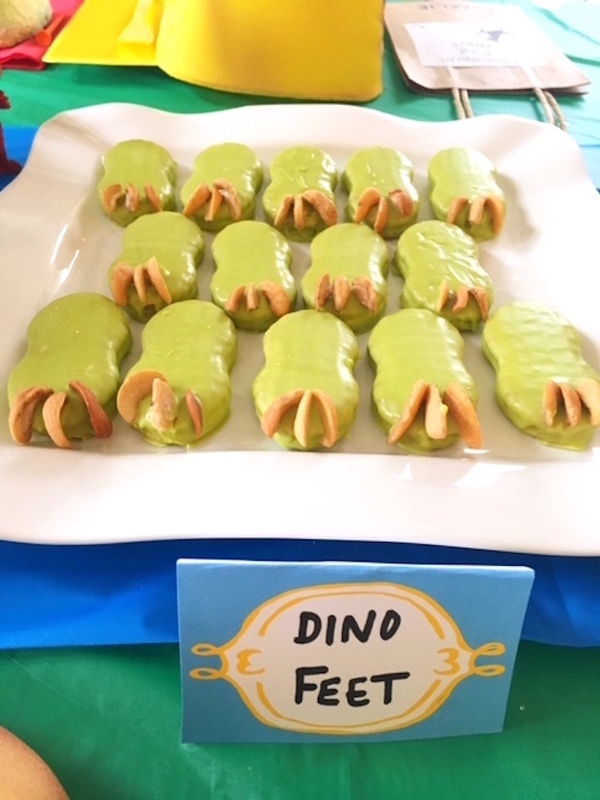 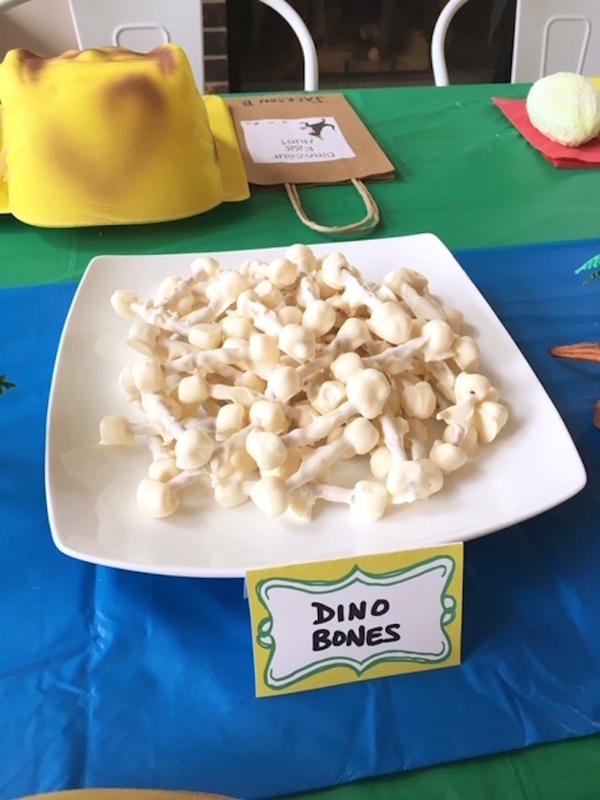 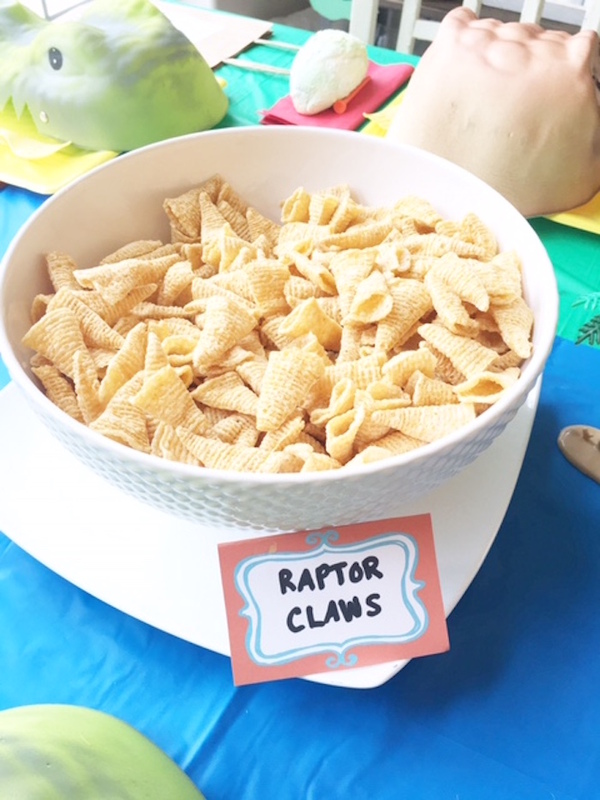 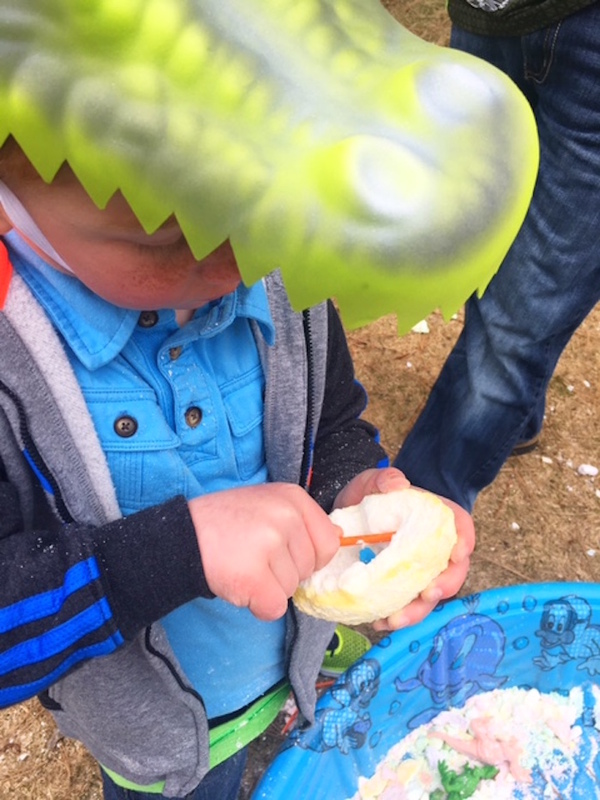 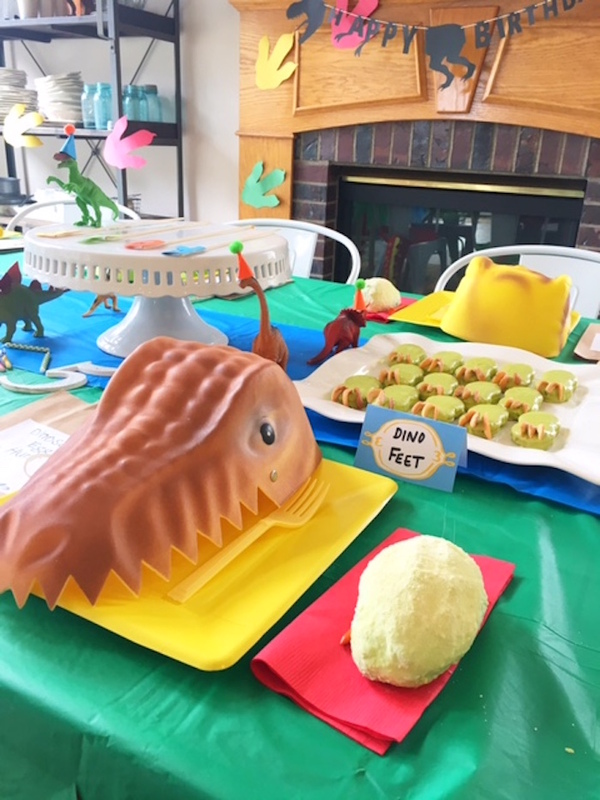 From little boys excavating baby dinosaurs out of eggs, to exploding volcanoes, to running around with dino hats and tails, the party goers were all smiles, laughs and roars. 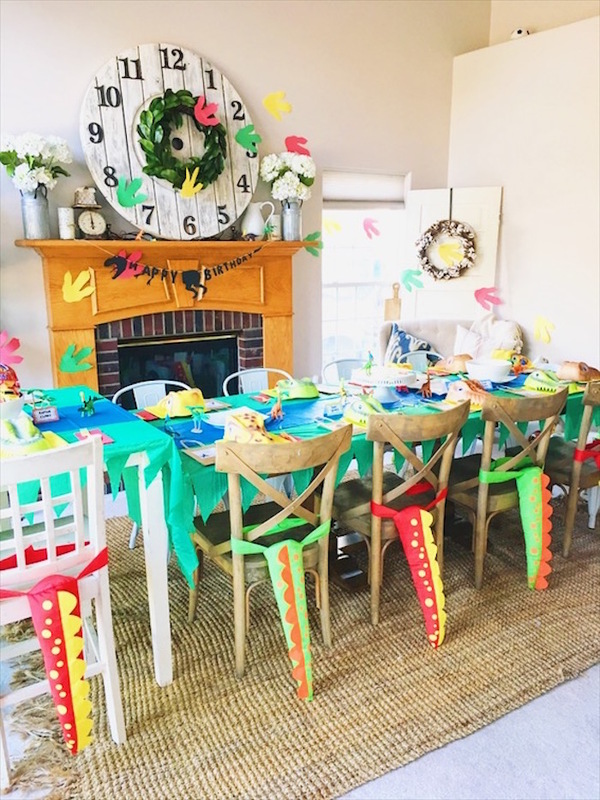 Finding inexpensive ways to create things ourselves and shopping around really helped to keep the cost down for this party, which was a win for everyone”!